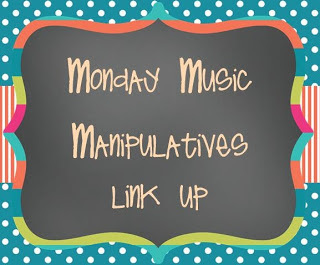 Since it's Monday, it's time for Monday Music Manipulatives, a linky party with Lindsay Jervis' blog, to blog about fruit manipulatives! This past week, I tried something brand new in my music classroom, and I'm very excited to share it! 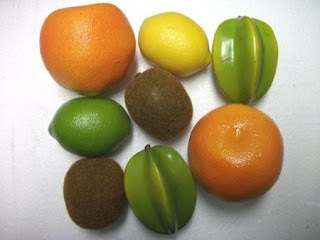 The idea with this file is that students clap each fruit's name (like pineapple, kiwi, peach, etc.) 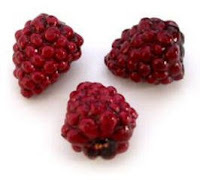 and then figure out which rhythm each fruit is. For the pattern in the picture above, the fruit pattern would be "pineapple kiwi peach pear," and the rhythm would be "ti-tika ti-ti ta ta." I included this SMART board file in my "Songs and Activities to Teach Ti-Tika," but you could easily make it yourself by finding pictures of fruit, inserting them into a SMART notebook file, infinitely cloning them, and then making a table with one column and four rows. When we used this SMART board file in class, it initially wasn't attached to any song; I just used it with my fourth and fifth graders as a way to practice ti-tika (my students are a bit behind because I've only had them since first and second grade, and they weren't quite where I wanted them to be at that point.) A few of the students got the chance to come up and create whatever pattern they wanted, and then we said it with fruit names, and then with rhythm syllables. That was going to be the end of that...but then they really seemed to love it, and they were disappointed we were done...so I brainstormed! 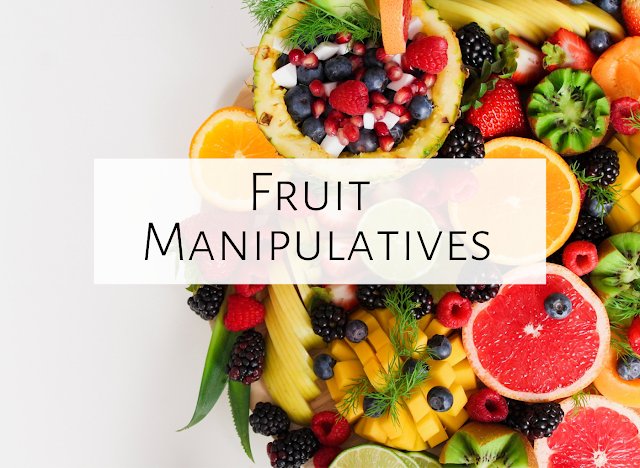 I first had the students sing the song (many of my fourth and fifth graders know it, as we sang it in choir last year), then we would do a fruit pattern as a B section, first reading the fruit names, followed immediately by the rhythm names. Then we'd sing again, and I would quickly motion for another student to come up and change the pattern. Most of the students could create another pattern before we were done singing the song again, and then we'd say the new pattern. I did this several times, changing students who were creating patterns. Their pattern was "lemon watermelon raspberry kiwi/ ti-ti tika-tika ti-tika ti-ti." Once all groups have created their pattern, we all sing, then we all say our patterns. I found a hand drum very helpful for this to keep them all together! Then we sing again. Even better...the kids scrambled to create a new pattern for the next time--something I hadn't even thought to do! I plan on using this as an assessment in learning centers in a few lessons. I'll be anchored at a center, and there, students have to individually create patterns, then say their pattern to a steady beat with the correct rhythm syllables. I'll post about how that goes! Thanks again to Lindsay for her manipulatives linky party! Click the picture below to read the other posts about manipulatives! Fun! 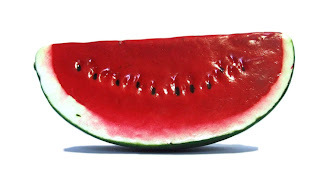 I do a similar "fruit farm" story for watermelon (tika-tika) and strawberries (ti-tika). 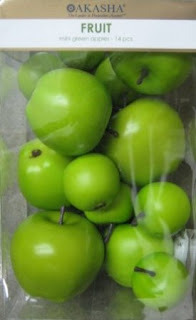 I will have to get some fruit manipulatives so that students can compose their own. 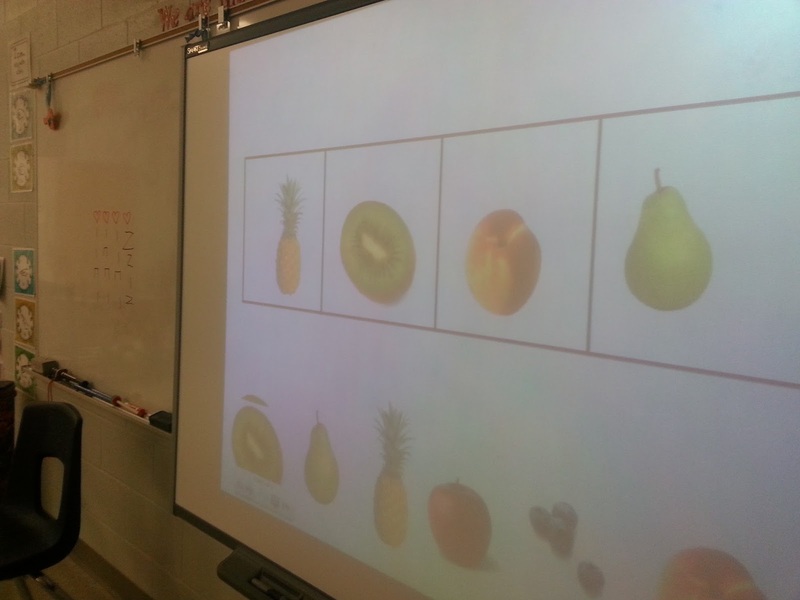 We have done it before on the smart board, but I think its fun to have more tangible fruit!